What happens in Vegas stays in Vegas! 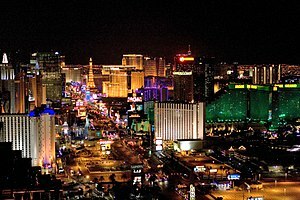 I am writing you from the fabulous city of Las Vegas, Nevada. I am here for a nursing conference with the Intravenous Nurse Society (of which I am a member.) Though the content is great and the city is exciting I can’t help but think about that phrase. What happens in Vegas stays in Vegas. How often in our nursing career have we met those nurses and managers who are the “keepers” of information? Whenever you need to know something you have to go to them. When you ask a question, they look at you with disdain as if to say “you don’t know that?” What is the dynamic? It’s about power and control. You know the old story give a hungry person a fish, feed them for a day, teach them to fish, feed them for a lifetime. It’s the same with knowledge. I believe you should share what you know especially if it will benefit that person. You will actually BE more powerful as you empower others to direct their own lives.As nurses at the bedside or in the community, sometimes we tend to get into our nurturing mode. We want to care for our patients to the point where they are dependent on us. We feel needed. We teach but we just don’t feel like we can discharge them because we want to check in on them. Their situations are not as perfect as we would like them to be. It’s the same with our children, spouses and significant others. Are we creating an environment for them to grow or remain dependent so we can feel useful? This is one reason many women suffer with empty nest syndrome when their children grow up.As leaders we need to guide and give information. Remember, what’s the motivation? Are you meeting your needs or are you willing to share the wealth, the spotlight so we all can BE powerful! How do you feel about learning and teaching? How do you work with people that want to depend on you? If you like this blog please share it! Sign up for future posts.